Product prices and availability are accurate as of 2019-04-23 13:48:29 UTC and are subject to change. Any price and availability information displayed on http://www.amazon.com/ at the time of purchase will apply to the purchase of this product. The 94Fifty Smart Sensor Basketball utilizes embedded motion sensors to measure the players ability in real time. Once the information is gathered, it's sent via Bluetooth to a mobile phone, and analyzed for instant feedback on shooting and ball handling skills. The mobile application is free and offers 4 different options, each with different purposes. This regulation sized basketball also provides real time audio or visual feedback through the application while you're practicing, to improve your skills while you play! 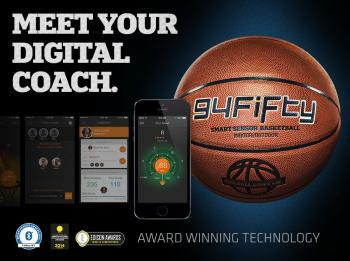 Having the 94Fifty Smart Sensor Basketball is like having a digital person coach every time you practice! This basketball is unique in that it improves accuracy, self-confidence, and speed. Offering both the 28.5" and 29", it is regulation size, weight, and spin. This basketball has a battery with an 8 hour life and an extra durable, all weather resistant, synthetic leather skin, to be played inside or out. 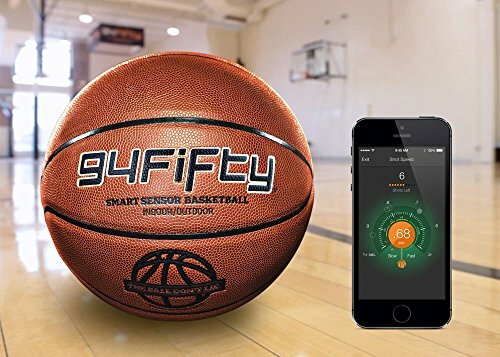 Purchase the 94Fifty Smart Sensor Basketball and improve your skills today! 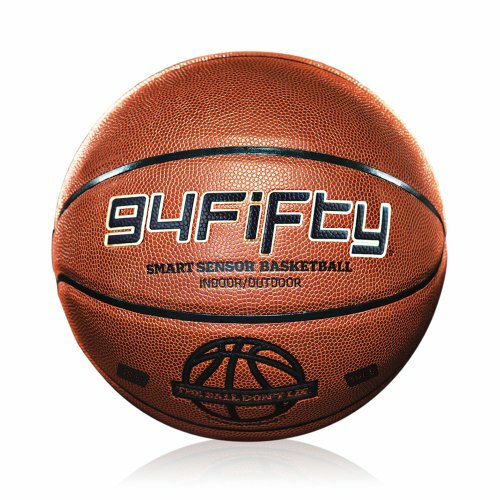 The 94Fifty Smart Sensor Basketball is the first product of its kind to measure and diagnose the quality of key skills critical to build confidence, versatility and success on the basketball court. The ball utilizes embedded motion sensors to measure the player's skill in real time. 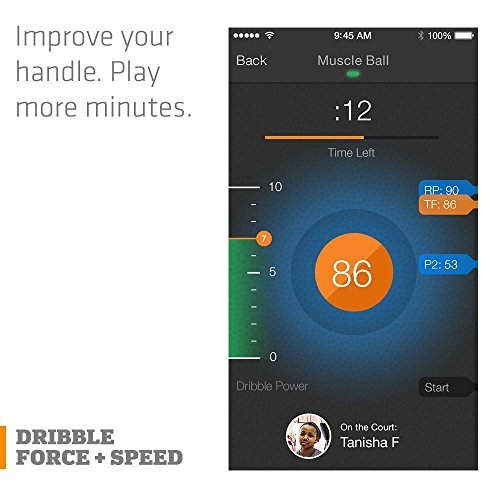 This information is sent to a mobile smartphone via Bluetooth and gives players of all skill levels access to immediate feedback on shooting and ball-handling skills. The free, downloaded App contains four distinct experiences, each with its own purpose. Level-up your skills from Playground to Pro in the Workout section. Learn how to shoot at game speed or soften your shot with proper shooting arc in the Skill Training section. Challenge your family, friends or teammates with Head to Head skill competitions, or challenge anyone in the world through twitter in the Social Challenge section. The sensors in the ball will count what matters most and will provide visual and voice feedback as you practice. It's like having a personal digital coach with you every time you play. Whether your goal is to make the A team this year, or to work towards that scholarship, the 94Fifty sensor basketball is designed for a single purpose: to build your confidence and get you better, faster. It's fast - about 100 millisecond speed from action to visual display. The ball measures any forces applied to it - spin, acceleration, you name it. A full 360 degree view of the ball - and the player that moves it. The ball is going to give you data and feedback about your game that is smart, precise, and freakishly accurate. Easy to connect, easy to use. Yeah, it's that good. SHOOTING – Measures Shot Speed so you can get more shots off, Shot Spin to improve accuracy, Shot Arc to shoot with touch. | BALL HANDLING – Counts dribbles so you can have solid control with both hands and dribble force so you can dribble with more confidence. Tracks daily and all-time bests. Sets goals for more than 50 drills and competitions. Automated, real-time scoring and leaderboards determine the winner for up to 5 players. Get realtime audio and visual feedback to correct flaws. Easy to understand visualized data and coaching feedback allows players to improve immediately and build correct muscle memory. InfoMotion Sport's 94Fifty Smart Sensor Basketball has been recognized with multiple awards and nominations. CES Innovations Award 3x Honoree, Bluetooth Breakthrough Award Finalist and Edison Award Nominee, just to name a few. ..
Infomotion Sports Technologies and 94Fifty are dedicated to bringing quality products to the market. That means we have great pride in the durability of our engineering and production. 94Fifty offers a 1 Year Limited Warranty on the Ball, Electronics and Sensors.